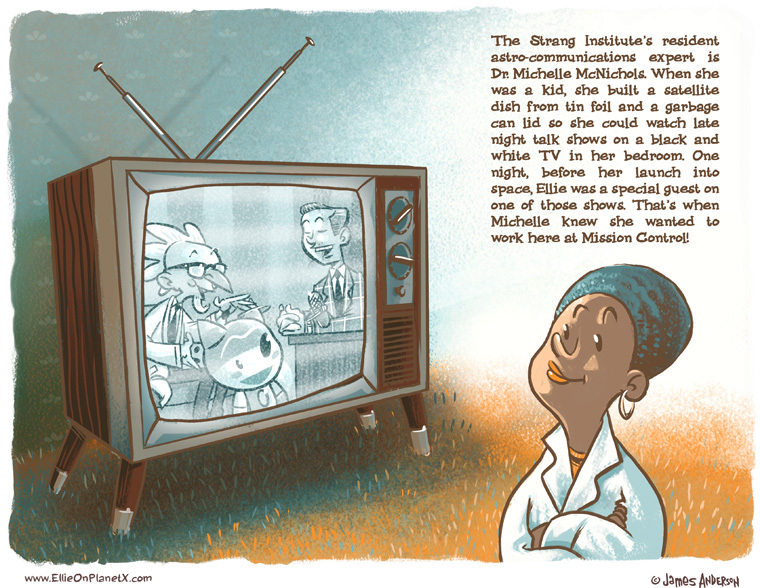 When Ellie was being programmed for her mission to Planet X, one of the ingenious decisions by Professor Strang was to teach her by reading the brain patterns of people in the process of doing various things. He started out small, literally teaching her to crawl first, before moving onto more complex functions. 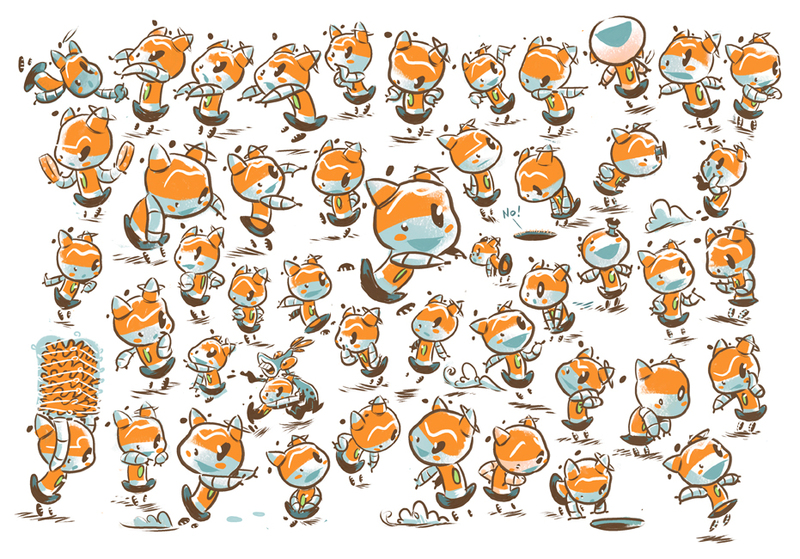 These are a few drawings of Ellie putting some of that arts training into practice. Despite her rather heavy metal makeup, she’s really quite agile. 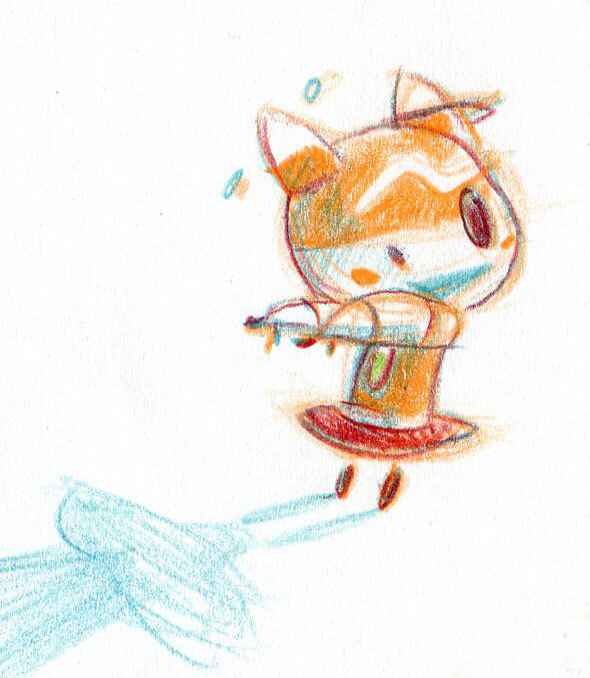 Because she has treads instead of feet, she became quite adept at an off-the-ice version of figure skating that can only be described as graceful. 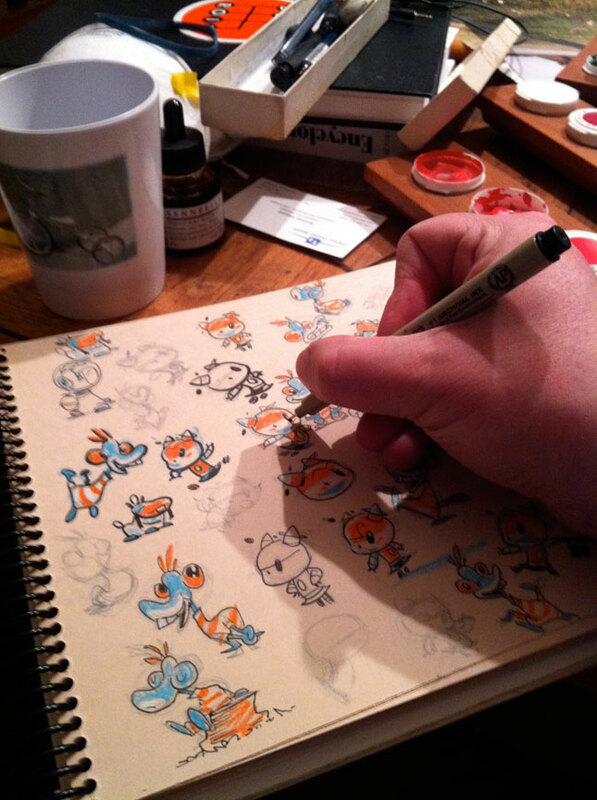 Today’s strip is taking longer than I thought and probably won’t make an appearance until Friday morning. 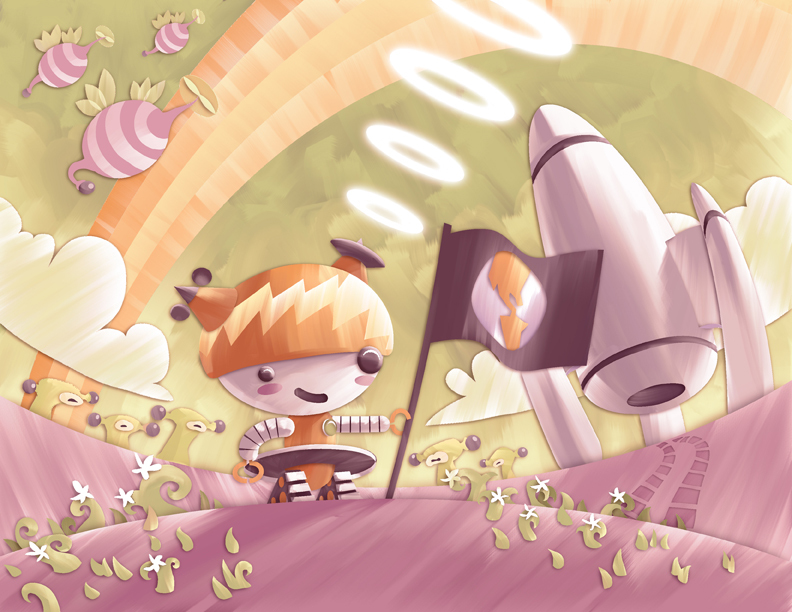 So instead, here’s an older interpretation of Ellie’s landing on Planet X. Some of you may have seen this before as I posted it way back in 2010 when we first started broadcasting Ellie’s transmissions. So check back tomorrow for today’s strip! It’s going to be another chapter from the biography of the amazing Dr. Strang. You won’t want to miss it! 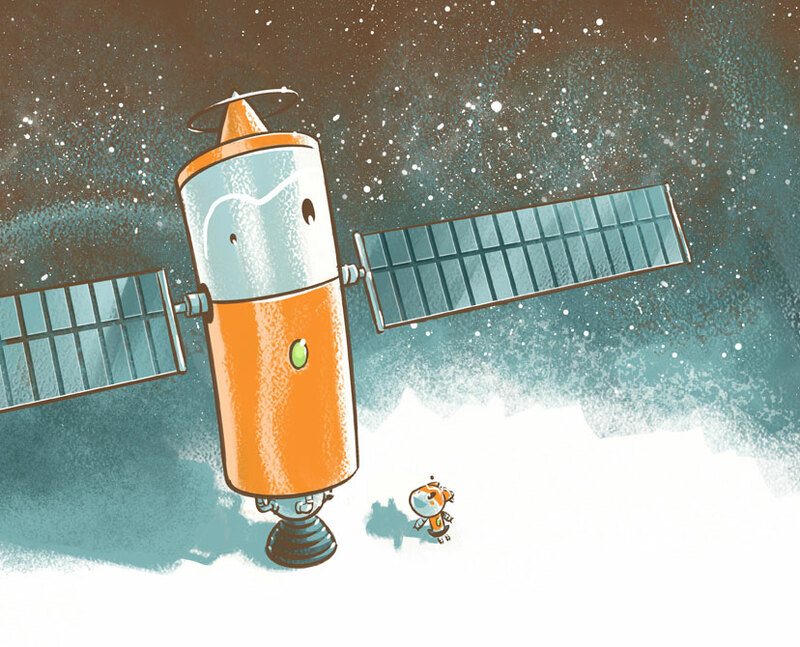 That sketch I did a few weeks back of Ellie and her satellite friend Opie? Here’s the finished art! Click to bigafy. We’re running late with today’s comic, so instead we have another little treat for you. We’re used to seeing Ellie right here, twice a week, but she didn’t always look this way. 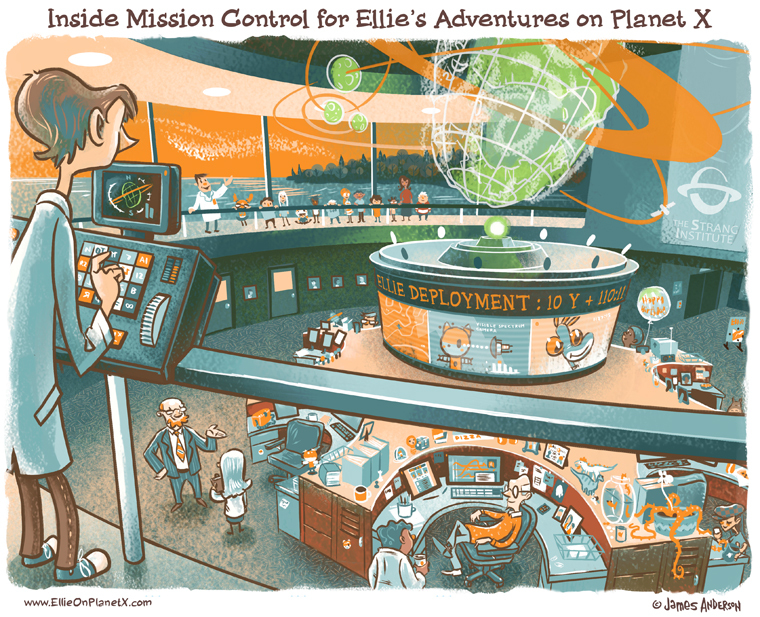 Years before she was launched into space Ellie went through a lengthy design process. 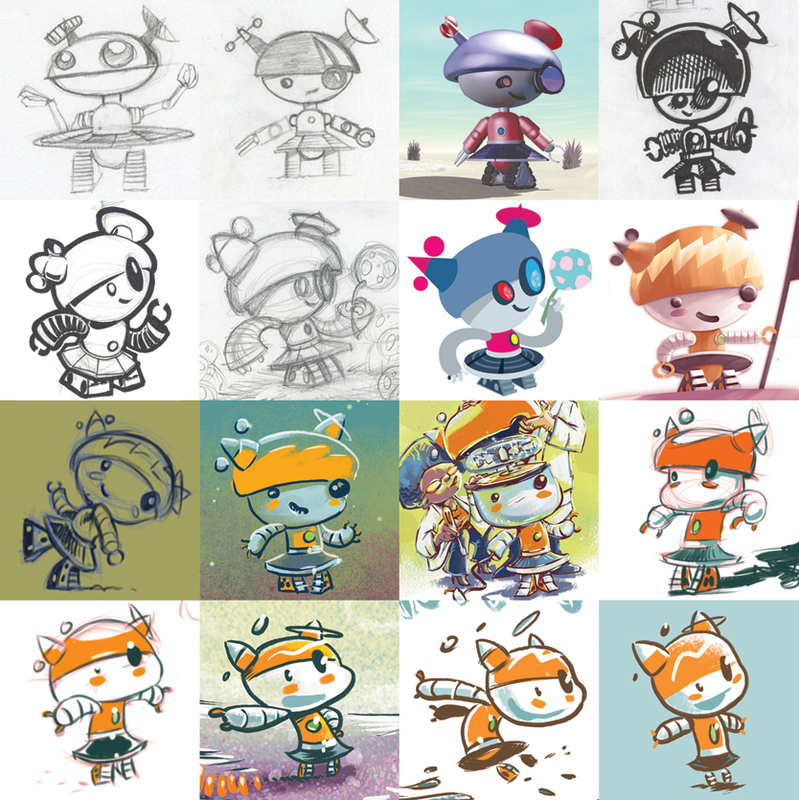 Over a roughly ten year period from when she was first conceived, through a series of big changes and tiny tweaks, Ellie finally became the little robot we all know and love. Take a look below to see her history of revisions. Click the pic to bigafy. 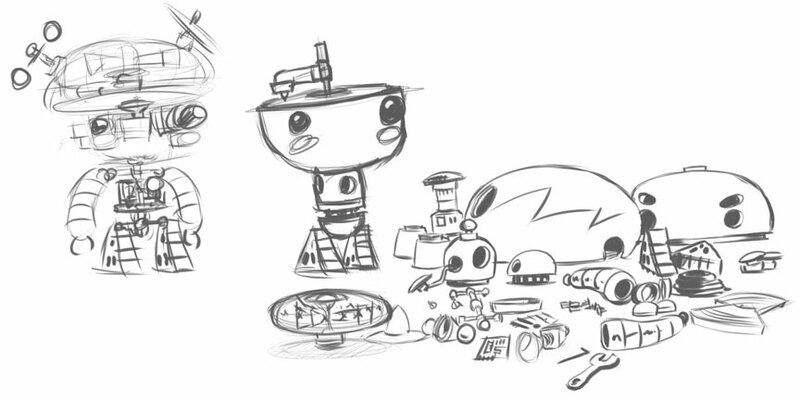 Here’s a really, really rough sketch of all the parts that make up Ellie. 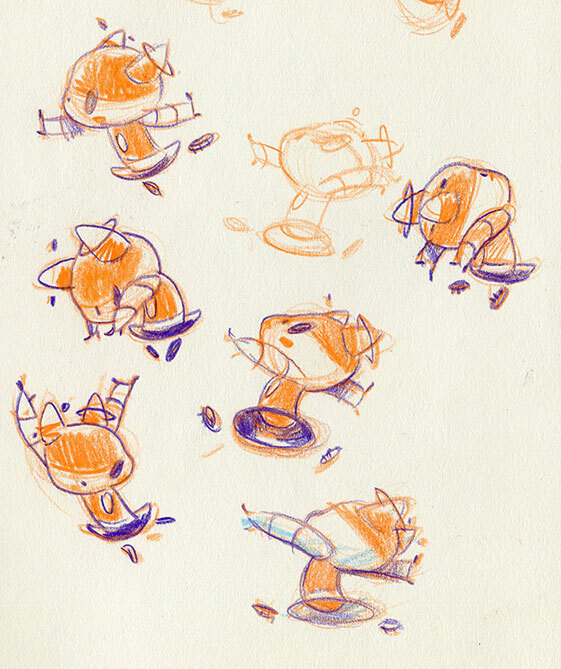 You’ll note that this is from an earlier, more primitive design of our favorite space explorer, but all of her pieces are pretty much the same and accounted for. If you squint you might even be able to tell which ones are which. Click it to make bigger. If you want to know more about Ellie’s history, Mission Control, and the Strang Institute, click here, or visit the Extra! Extra! link in the menu at the top of the page and click on Ellie Extras. Have fun!